WHEN I GIVE SOMEONE ADVICE, I ALWAYS END IT WITH BUT I DON - ProudMummy.com the Web's Community for Mums. 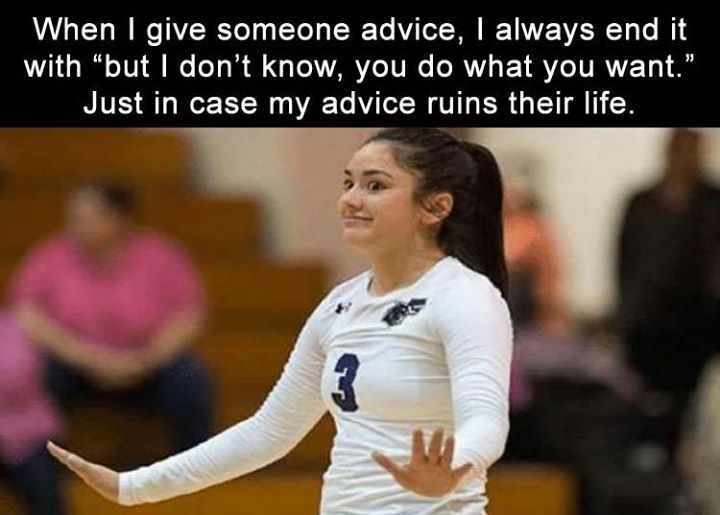 WHEN I GIVE SOMEONE ADVICE, I ALWAYS END IT WITH "BUT I DON'T KNOW, YOU DO WHAT YOU WANT." JUST IN CASE MY ADVICE RUINS THEIR LIFE.